As the first free-roaming elephants on the Plains of Camdeboo in over a century, Samara's founder herd is monitored daily to assess their use of the landscape and their behaviour. 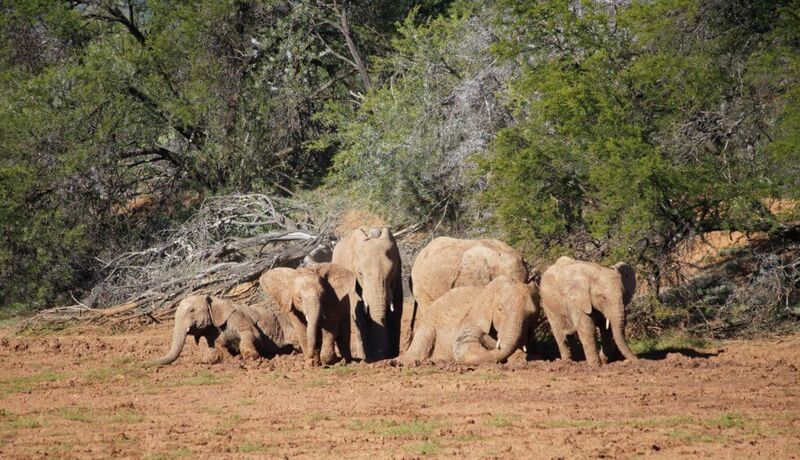 In a previous blog, we introduced you to the N family, Samara’s founder elephant herd released in 2017. There have not been elephants on the Plains of Camdeboo, a region made famous by Eve Palmer’s book of the same name, in approximately 150 years. The reintroduction thus provides a fascinating opportunity to study their behaviour in a new environment. The herd comprises of a matriarch and her two calves, as well as a sub-matriarch with her two calves. A tracking collar has been placed on the sub-matriarch so that the herd can be tracked for conservation, ecotourism and academic purposes. 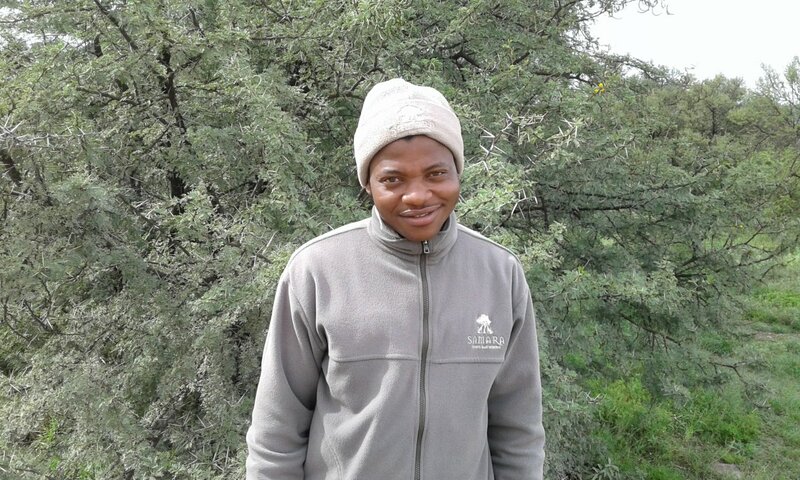 The monitoring is led by Penny Pistorius, sponsored by the NGO Elephants Rhinos People, and two graduates of the Tracker Academy who are currently on a 1-year internship at Samara: Ntsindiso Mankangeni and Mzimasi Dlakavu. 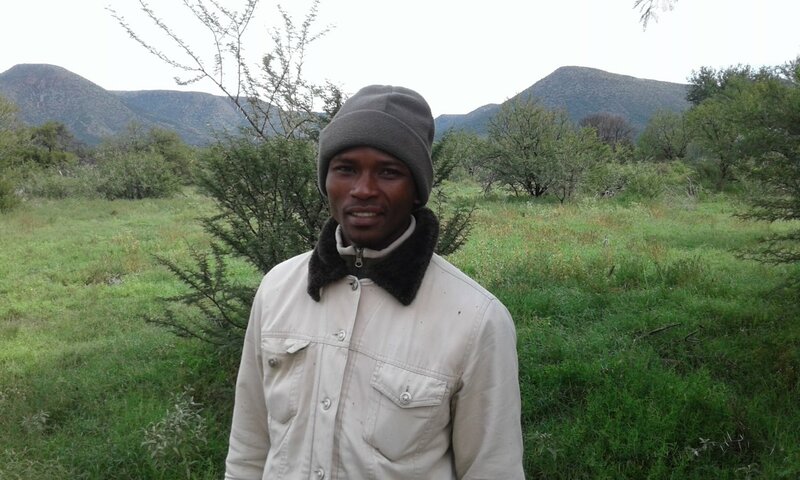 Both of these young men grew up in Lusikiski in the Eastern Cape Wild Coast, and neither had been able to find work before they joined the Tracker Academy and got the internship at Samara. 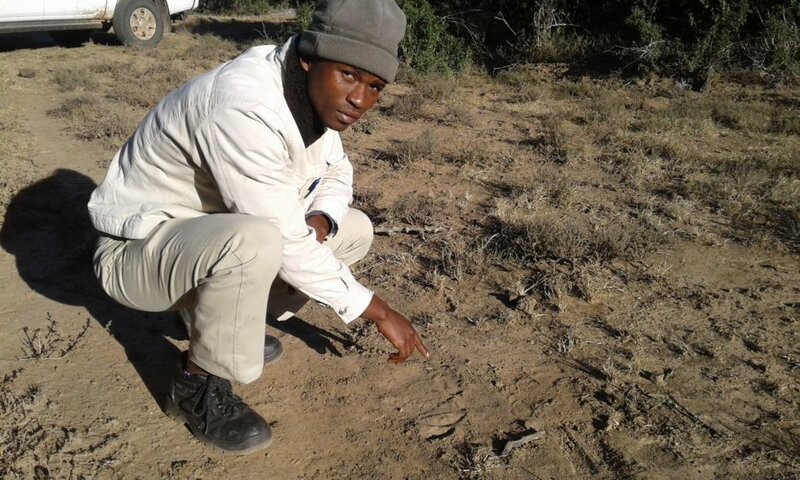 The internship is designed to teach them about elephant behaviour and conservation, which they have no experience of as they conducted their tracker training in the Kalahari which does not support resident wild elephants. Their internship also exposes them to the ecotourism side of Samara, enabling them to gain the vital skills required to thrive in this service industry. 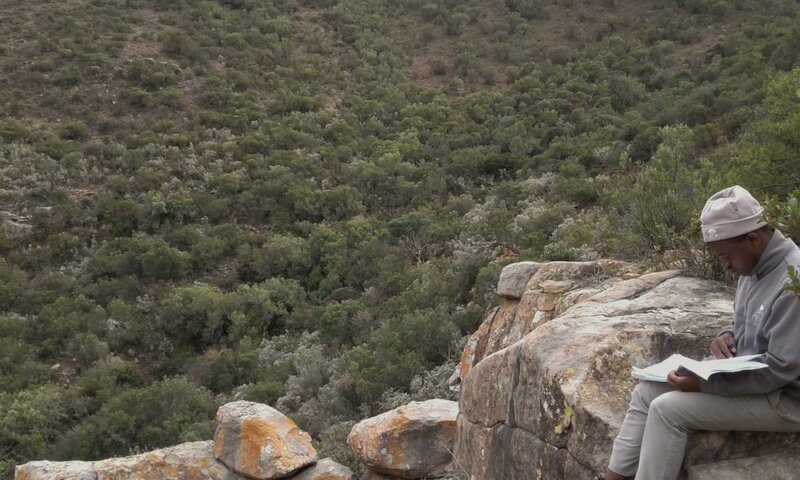 Both men feel that their experience thus far has been enriching and has changed the way they view wild animals. Three methods are employed to track elephants at Samara. The first two make use of technology, whilst the last draws on traditional and indigenous skills. First up – satellite technology. The sub-matriarch’s collar is linked to a satellite which updates the elephant’s location every hour. This information is accessed via an online portal on a laptop or mobile phone, and provides the exact GPS coordinates of the individual. However finding the elephant with a GPS coordinate is not so simple. 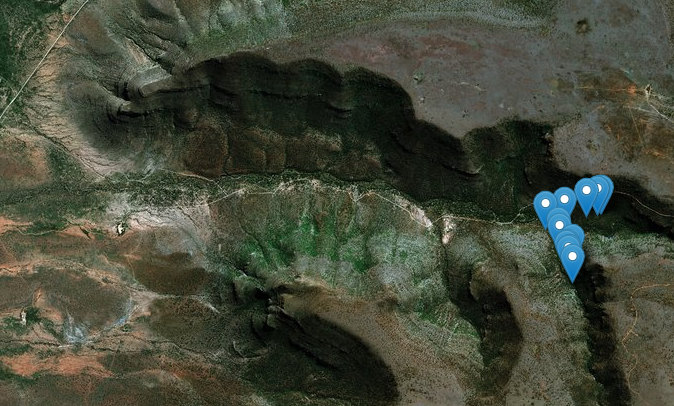 Mobile phone signal is limited, and the topography of Samara is characterised by flat, open plains leading to densely-vegetated valleys, steep mountain slopes and plateau grasslands. Even if a road were to lead almost directly to the animal, thick vegetation could hide it from view. So a second method is needed. Enter the VHF telemetry. This is a device which looks like an aerial, which is used to scan for a specific frequency emanating from the sub-matriarch’s collar.  This method works mostly through line of sight, and can pinpoint the animal’s location more or less accurately, although how useful it is depends largely on the skill of the user! The third method is the traditional form of tracking, that is, following evidence of elephant activity in the field – spoor, dung, broken branches, and even sounds and smells. In this, both Mzi and Ntsindi are well versed. Once located, and at a respectful distance so as not to make the herd uncomfortable, the monitoring begins. Preferred foods are recorded as well as interactions amongst the individuals within the group. 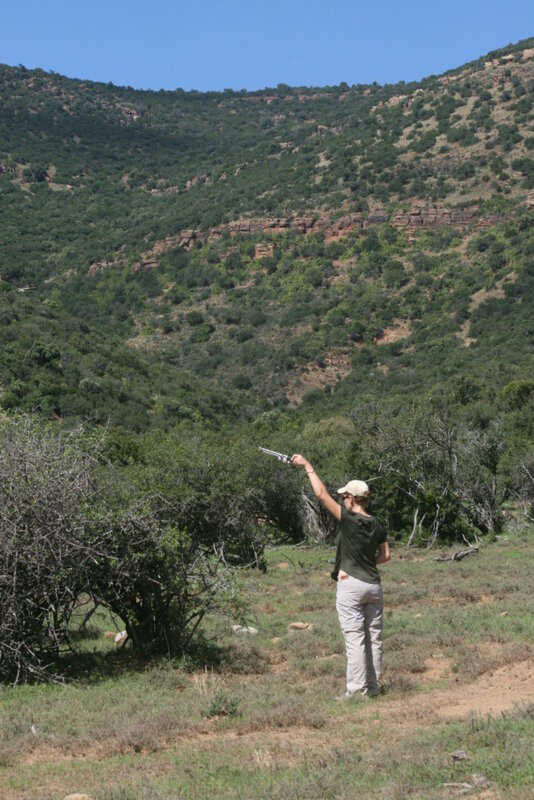 The herd’s location is jotted down to be shared with Samara’s guides on their game drives. During the summer months, the herd spent the majority of their time in one of the three river systems on the property. In the winter, however, they tend to spend the day on the mountain slopes which are several degrees warmer than the valley floor. The map below is an example of how their movements can be plotted. Their preference for browsing at altitude is also linked to their preferred foods. Cabbage Trees (of the Cussonia family) and Jacket Plums (Pappea capensis) form the bulk of the elephants’ current diet. Cabbage Trees are highly nutritious with moisture-rich leaves. Larger specimens develop a sturdy trunk and round, spreading canopies. The elephants enjoy defoliating the trees and eating the bark off the branches. Only the older elephants can reach the leaves and branches of some of the taller trees, leaving the younger ones to eat what is discarded or to feed off other tree species. Penny, Mzi and Ntsindi will continue to plot the elephants’ progress as we head into spring. It will be interesting to see if and how their movements change once an elephant bull is reintroduced. 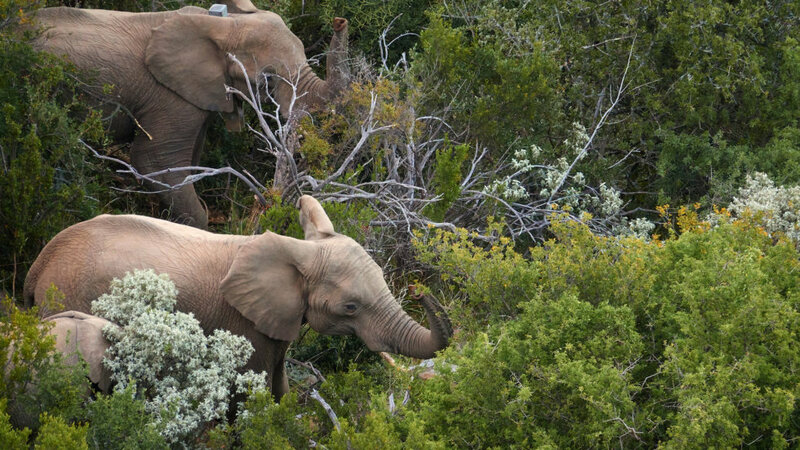 Samara Private Game Reserve introduced the first elephants back into the Plains of Camdeboo in over 150 years. This historic translocation was part-funded by Elephants Rhinos People, an NGO dedicated to finding long-term solutions for elephant and rhino conservation.